With the sparkling Adriatic Sea and the Apennine mountains at a comfortable proximity, a hilly and vibrant countryside as far as the eye can see -- you have to wonder why more people don’t talk more about the region of Le Marche. Those in the know however are quite aware of Marche’s positive attributes. And there are many. Central Italy has often been a hot place for expats to call home due to its low prices and stunning natural landscapes. It’s the kind of place where people truly find their joie de vivre (joy of life). Two such people who have certainly figured out this “secret” destination are interior designer Dawn and successful entrepreneur Michael Hobbs, originally from the UK . 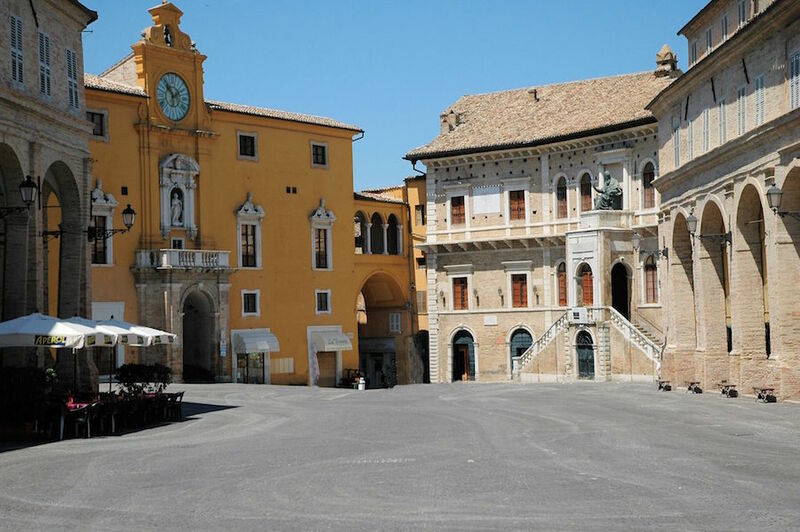 Since 2004 they have split their time between England and the beautiful town of Petritoli. They first discovered this area in search of a holiday home after a suggestion by Michael’s business partner. Choosing to stay here was an easy one for them to make, with a natural beauty and charm so less besieged by tourism than neighbors like Tuscany. Also, the proximity to local airports was a huge advantage for Michael and Dawn who travel back and forth to the UK frequently. 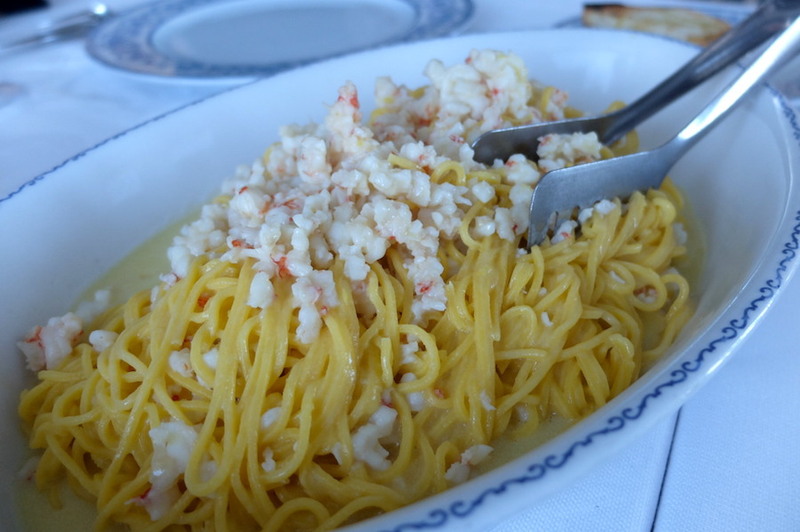 Petritoli makes for an easy 45-minute drive from Ancona or an hour from Pescara. Each owner has a 1/10th ownership in the property which they have total control over and are allotted five exclusive weeks a year to use. The cost is roughly 90,000 pounds to 195,000 depending on the size of the property. With the favorable dollar to pound currency rate at the moment, this is really the ideal time for a property investments for those from the USA. Dawn and Michael’s properties sell off quick, momentarily there are only 9 of 10 shares left in the latest available property “Il Riposo”. None of the places are “cookie cutter,” each comes with its very own personality. Currently owners include people from Australia, South America, England, American and China. Their latest property “Il Riposo” a 12th century renovated townhouse is an absolute dream -- true to its name which in Italian signifies “the retreat.” Located in the nearby town of Patrignone in the “Terre di Bonfini,” it was known locally as a 12th century artists’ colony founded by the Bonfini family whose names pepper each street corner. First in tribute to the painters Martino and Giacomo Bonfini and later the historian of King Mattia Corvino’s Hungarian court, Antonio Bonfini. 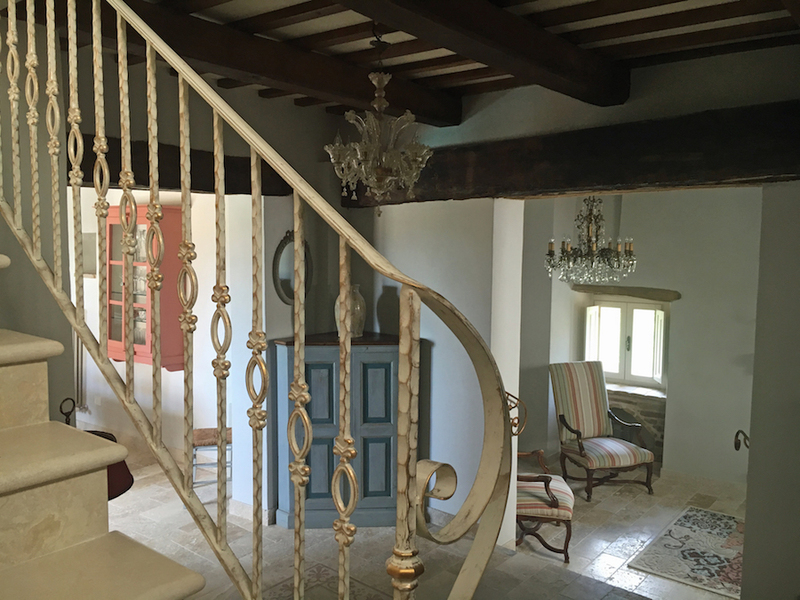 For me, Patrignone, facing east of the Adriatic sea signifies a quiet, picture-perfect example of a small borgo in Italy – think narrow cobbletoned streets which beautifully pave the way towards Il Riposo. It is an area also home to incredible views while the countryside beyond is dotted below with charming countryside villages. Year-around the town boasts only 150 residents, thus making this “retreat” a true reality for those looking to escape the crowds. 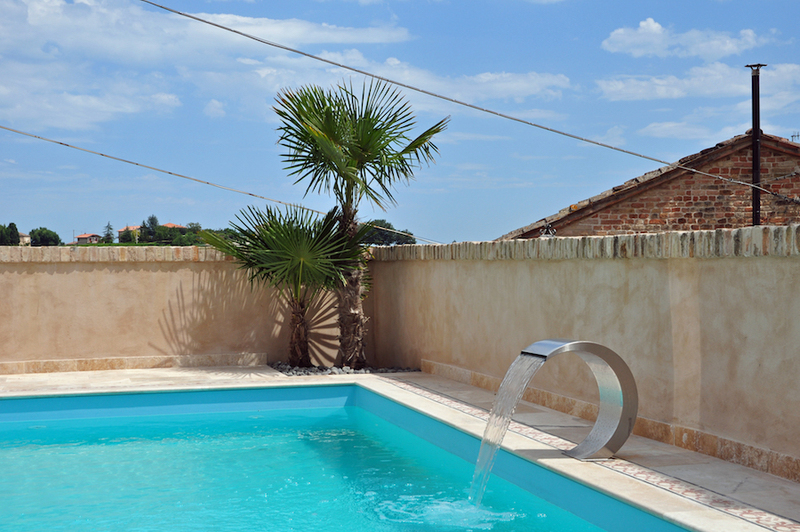 With all of this in mind who wouldn’t want to call Il Riposo home? This three-floor light-and-airy luxury property is the perfect space for larger groups looking for a true “country and town” atmosphere with designer details. 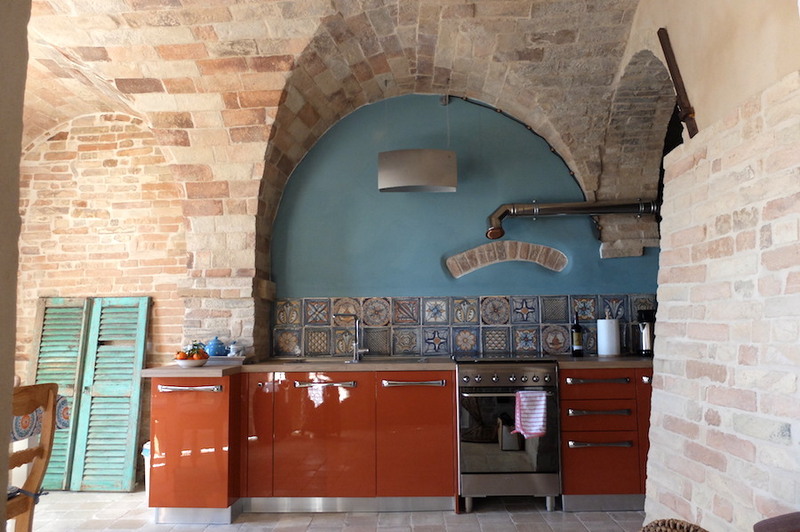 Dawns well-searched for aquisitions for the property from local artisans (like large terra cotta pots) have led to many of Appasionata’s buyers ordering items direct from these Italian small suppliers for their other homes. Inside you’ll find four spacious double bedrooms, three bathrooms, all in a luxurious 210 square meter (2269 sq. feet) space with plenty of open-plan space. All the better for enjoying the extraordinary views from the huge, airy kitchen. 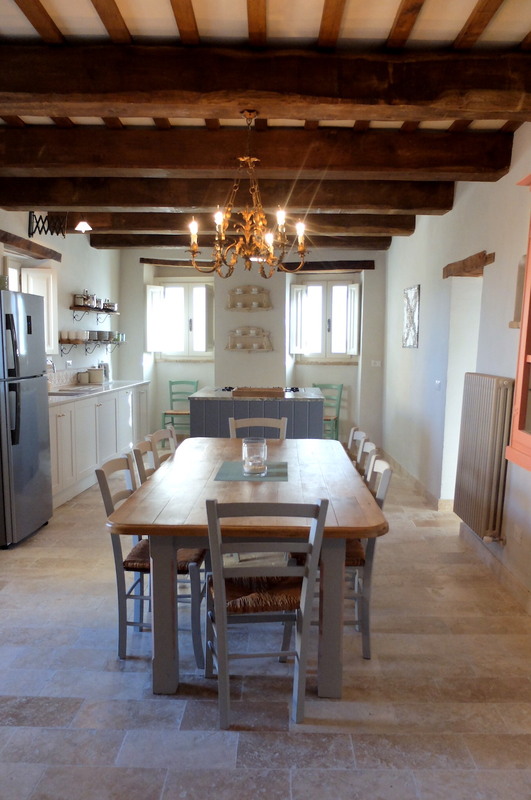 The cozy living room and dining space with its light colors, original wooden beams and custom, colorful furniture looked the perfect place to entertain guests, who like you, will thoroughly enjoy what is truly a slice of Italian paradise. Dawn spends hours in her car driving around to look for the next great furniture piece or antique chandelier, everything is kept in a storage space before it finds its home in an Appassionata property. Their daughter India and her husband Charlie live nearby and help out with the business, owners with special requests can turn to them for customized requests.